Since I seem to write so much about ancestral lines and their stories, I like to pay homage to the living from time to time. 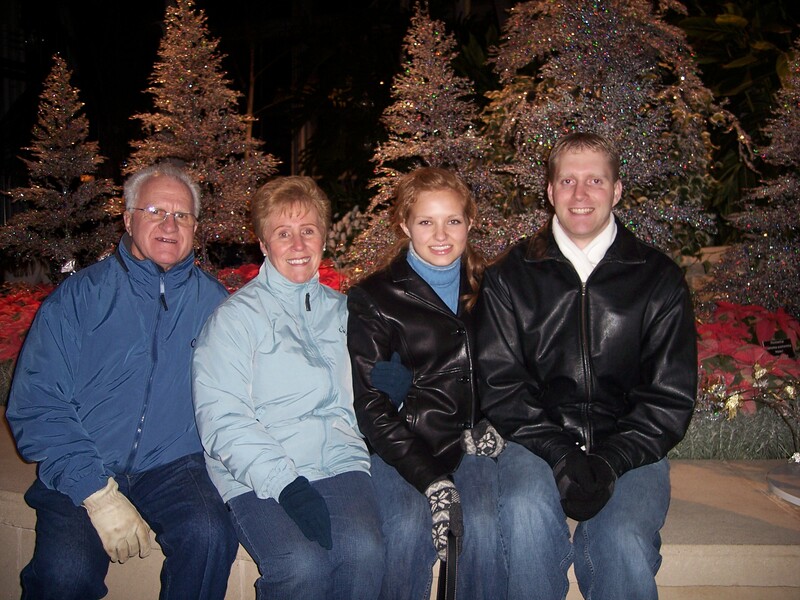 Here are a few photos from Thanksgiving 2007 when my Great Uncle and Aunt Andra came to visit. Donald is the brother to my maternal grandmother, Colleen Andra (1928 – 1999). I have written of her elsewhere, rather than a link, you can search for it here on the blog. 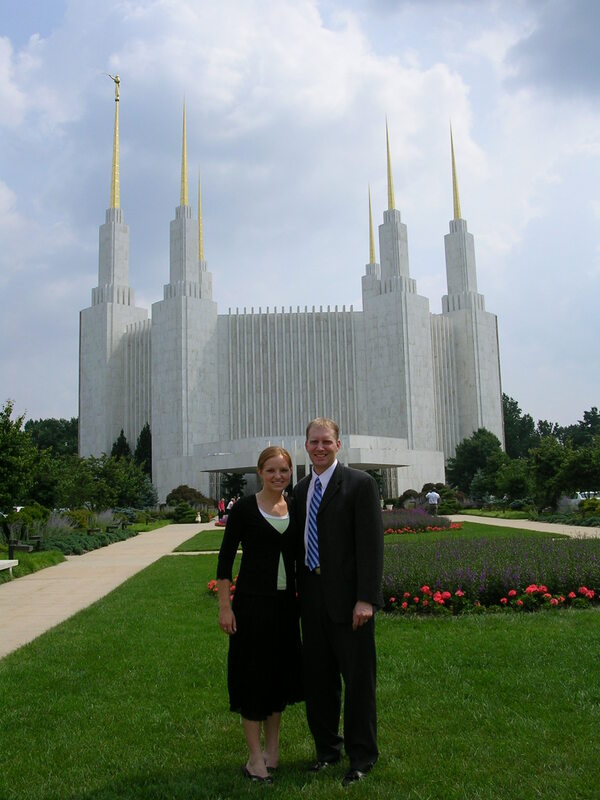 Donald and Lolane were called to serve a mission in the Washington D.C. Temple for 18 months. We visited them many times in Kensington, Montgomery, Maryland. 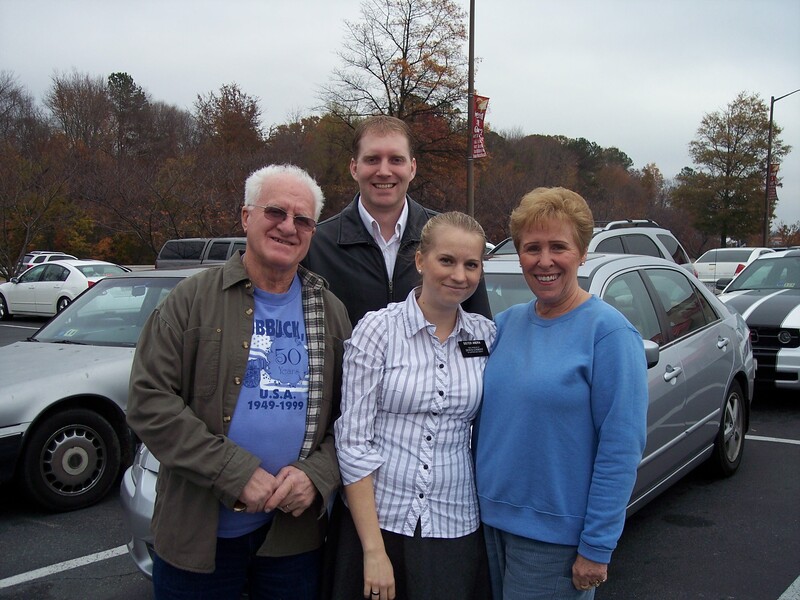 After Thanksgiving Dinner with them in the Rock Creek Ward building, they were finally able to take some time off, drive down to Richmond, Henrico, Virginia, and spend some time with us. I have written about their visit at the time, but wanted to include a picture. We visited the Lewis Ginter Botanical Gardens (the picture above was in one of their buildings). We also visited Monticello, Shirley Plantation, and various sites around Richmond, Virginia. We very much enjoyed their time with us and look forward to when we can spend more time with them in the future. One of the highlights of the visit for all of us was having lunch with Sister Angela Andra and her companion. It was a unique experience for me to sit at lunch with three full-time missionaries, all cousins with the last name of Andra. Angela is the granddaughter of Don’s (and my Grandma’s) brother, William (Bill) Fredrick Andra (Jr). Here is a picture of that occasion after lunch in Chesterfield, Chesterfield, Virginia. I will wrap up with a picture of the breathtakingly beautiful Washington D.C. Temple. I wholeheartedly understand and agree with the reasons why the church has moved to the smaller temples for ease of access and utility. However, something about the size and grandeur of the big temples still strikes more awe of God into my hard heart. There is not loads to report for this week. I have applied for probably nearly 50 jobs online. I have an interview tomorrow for a position with Combined Insurance. Who would have thought? What are the chances? Grandma worked for Combined for 30 years. I have in essence sold Combined Insurance for 6 months of my life. That is probably the equivalent that I spent with Grandma out on the road selling insurance. I sure loved it. Funny what we remember isn’t it. There was a couple of times we went to Soda Springs to sell. I remember the Caribou Lodge. It was my first time going over, I must have been about 4-6 years old. We were in the old 1974 two door Mercury Cougar. What a car. As we came down the pass from Lava Hot Springs we hit a pheasant. The old car took it in the headlight cover. So when we needed the light, we were Popeye into Soda. Grandma liked the Red Baron pizza and she promised that she would treat me. Accordingly, we went and bought one and took it back to the Caribou Lodge. It was only then we realized that we did not have an oven. Grandma went down, and knowing the owners well, asked if they would cook it. They agreed and we ate Red Baron Pizza. It sure was good. This was my first time on the road selling with Grandma. She had taken me several times to other places close like Kimberly, Twin Falls, Wendell, and American Falls. I always felt so loved. She would buy me clothes and completely dress me for the week. This week, she bought this little red suit that had zippers over the pockets. It was a short sleeved shirt with shorts. She gave me the permission to carry the money if I promised not to lose it. So I would zip it up in my little pockets and keep it safe all the time. Made me feel like a million bucks. Every morning we would get up and she would make oatmeal out of the packets. She had a little warmer that you put in the coffee cup and it would boil the water in the cup. She would pour the water in with the oatmeal and we had the little feast every morning. She would comb and part my hair with a duck’s tail in the back. I felt like a little prized doll the way she took care of me. It was this same week that we stopped at this home to visit some people. That is one thing I remember, we always had leads. Grandma never knocked not knowing who lived there. This house was on a corner or curve in the highway. I could probably take you there today, even though I was only about 5. We were sitting in the front room of the home and the people kept commenting on how adorable I was. Being a little bashful I asked to go in the backyard. I went out and stood at the back fence watching a baseball game. Never had seen a baseball game. I was thrilled, it was warm, slight breeze, and the shining metal baseball bat. Our visit came to a close and they were begging Grandma in front of me if they could keep me. She asked me if they could keep me and I remember breaking out in tears. They thought I was so much more adorable. It would be funny to know who lived there and see if they even remember this. I very much doubt it. One of the best parts about being with Grandma and doing this insurance business was that when we set out to drive there, she would give me all the lead cards. Sometimes there would be up to 200 of them. It was my job to take a look at the map and figure out where things were. Then I would go through and organize the lead cards according to street, and then line the streets up to area. This was a big job coming to towns like Idaho Falls/Rexburg. I remembered I became quite the pro. The entire week we came back to the car, I could tell her the house number of the next house, and then would direct her how to get there. I became a master at map reading and directions. Even to this day, I can look at a map, get a good feel for where anything is, and I can know how to get where I need to go. Coming to Richmond, I think Amanda is constantly amazed that I already know where everything is. I already know the main streets, where they are, and where they go. Even in church today, changing our ward boundaries, I knew all the roads they talked about. This has been a great blessing to me. All thanks to my beloved Grandmother, and Combined Insurance. This weekend we went to Northern Virginia. Amanda and I have made a commitment to keep President Kimball’s challenge to the Saints that if circumstances permit, members should attend the temple at least once a month. I have done this ever since I came home from my mission. I have done it pretty well since I was endowed, except for several months in the mission when missionaries were not allowed to attend the temple. Accordingly, Amanda and I needed to attend for the month of July and thought now was as good time as any. We went up Friday night, stayed with Dennis and Gwen Thompson, who I lived with when I worked in Washington, D.C.. We spent the evening, caught up, and planned out Saturday. Saturday, we went to the temple, dropped Miss Mandy Lundstrom off at the Baltimore Washington International Airport, drove to Annapolis, Maryland; and then crashed back at the Thompson home. I did 15 initiatory at the temple and Amanda/Mandy both did a session. We got lost getting there as we talked and passed every single junction for a free way. Mandy was staying with the Thompson’s. Oddly, she was the old girlfriend of Brad Hales, my good friend and old roommate. She was going to ride the train from Springfield clear to BWI with all her luggage. Knowing how horrible that is, how much I hate traveling with luggage, I offered our services. Plus she got to go to the temple one last time. Amanda and I then ran to Annapolis to see the historic downtown. Sadly, we got there 5 minutes after they closed the statehouse. But we drove around a little longer. The Maryland Capitol is the longest used Capitol in the U.S.. It has also served at the United States Capitol while the current one was being built. It was in this very building that General George Washington resigned his commission of the Continental Army. Wonderful history. The College of St. John is right by as is the United States Naval Academy. The town reminds me so much of Britain. I love it. I recommend all pay a visit there. Go to the Capitol when it is open. I did last year and enjoyed it. Anyhow, we came back to Richmond this morning and got ready and went to church. They reorganized our ward, but as we did not know anyone, it did not make much difference to us. At least we don’t have to attend another ward. It was a good day. At least we got a new lesson, no more of that adultery lesson we had for the last 3 weeks.